While I am not a huge fan of mayo on a sandwich, I have always had a weak spot for chicken salad, tuna salad, potato salad, and especially macaroni salad. When I discovered the wonders of veganaise and Greek yogurt, I realized I could eat all these favorite “salads” in a more health-conscious way. Behold the creation of Jennifer’s Macaroni Salad. While my recipe below includes Greek yogurt, if you are dairy free or vegan, just omit that and add a little extra vegenaise. My favorite brand is Follow Your Heart – I prefer the regular, but the low fat will work as well. This is an excellent accompaniment to my Guava BBQ Chicken for a perfect healthy, Hawaiian-style meal. 1. Cook the pasta in lightly salted water. When it’s done, rinse in cold water and allow to cool. 2. In a large bowl, toss together the celery, carrots, green onion, white onion, and spices (paprika, dill, garlic powder, salt and pepper). 3. Stir the macaroni into the veggie/spices mixture. 4. 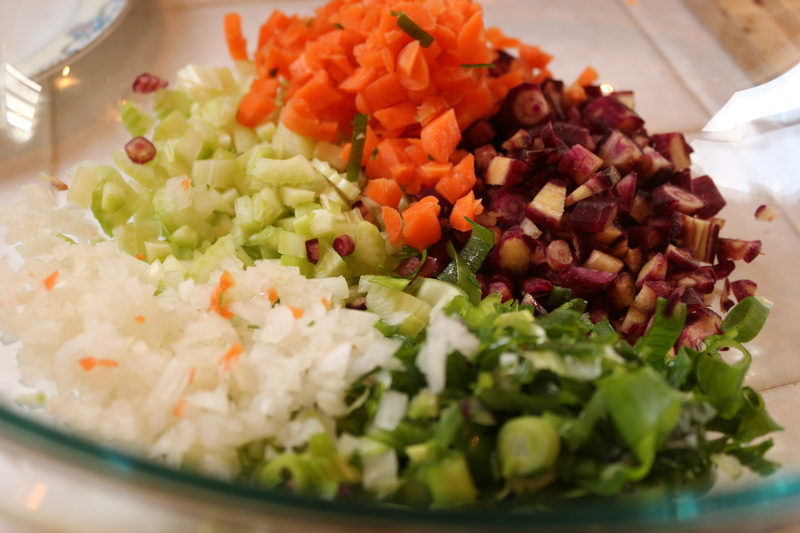 Make the dressing: In a bowl, mix together the veganaise, yogurt, vinegars and sugar. 5. 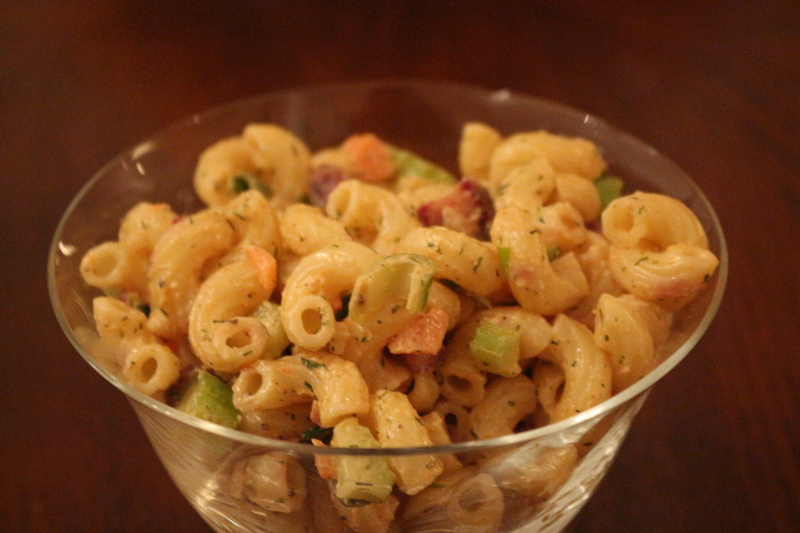 Mix the dressing into the macaroni and mix well to combine. 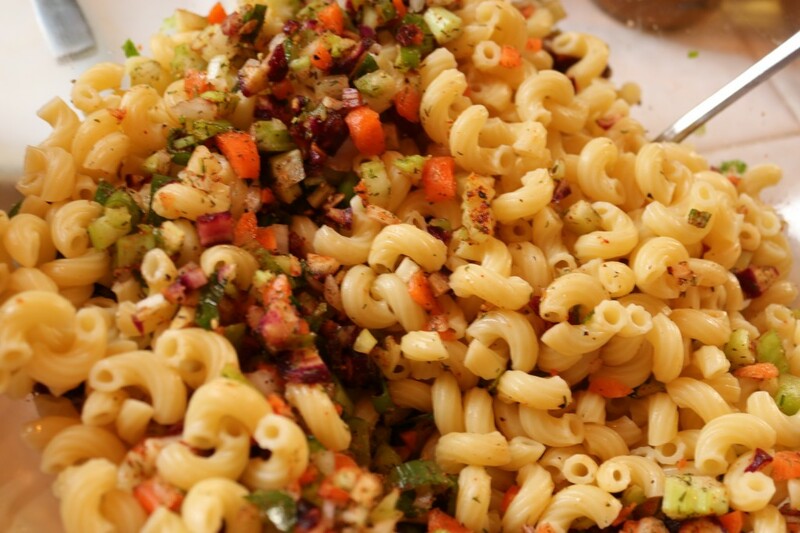 Add the two tablespoons ketchup to the macaroni salad and mix well again. Taste to ensure the seasoning is appropriate, and add more salt, pepper, dill and/or garlic powder as needed. This entry was posted in Mains, Salads, Sides, Snacks and tagged Carrots, Hawaiian Foods, Pasta, Vegan, Vegetarian. Bookmark the permalink.